There are many times when a home buyer has found the perfect home, signed all of the necessary paper work and watched every home improvement program to feel that the home they are purchasing is in good enough shape. Often times a buyer will make the mistake of choosing not to have a home inspection just to save a little bit of extra money. What may seem like a small and simple decision can end up costing you quite a bit of money down the road. After the home is purchased and officially yours, potential unexpected disasters can occur that could have easily been addressed with a home inspection at the time the home was being purchased. 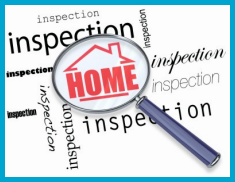 There are common issues that are easily looked over by a homebuyer when they decide not to have a home inspection. Older homes will often have small cracks in the walls or near the base boards. While the purchaser may think this is a simple cosmetic problem, these cracks can be signs that the foundation of the home may have some serious damage. 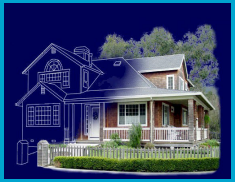 Hiring a home inspector like Christopher Nolen & Associates LLC can detect problems like leaks in the roof, any possible water damage, remodeling efforts that don’t meet current building codes, and improperly grounded outlets. Bypassing a home inspection can potentially put you and your family at risk to certain dangers. One of the more serious problems you may encounter is an outdated electrical system. Electrical problems pose the threat of a house fire; endangering you, your family, your possessions and the equity of your new home. Out dated aluminum wiring, cracked or frayed insulation on the wiring or an old circuit breaker can cause things like flickering lights and exposed electrical wire; causing your circuit breakers to trip constantly. A home inspection includes a thorough look at all electrical wiring in your new home, helping you avoid a more costly repair down the road. It isn’t always easy to tell if a home has mold. You may see it or smell a musty odor but often times you may not realize how much mold causing moisture in present. Mold can cause many health problems such as allergic reactions and asthma attacks. Some types such as Stachybotrys are toxic and may even cause death! Hiring a company like Christopher Nolen & Associates LLC for a mold inspection will save you money. And even if there is no mold present, you will have the peace of mind of knowing your family will be safe from the harmful effects of mold. Purchasing a home is one of the biggest decisions you will ever make. Ensure the home you are buying is in the best possible condition so you can feel confident and secure about your new purchase. 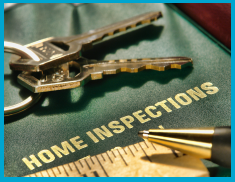 Contact Nolen Inspections for the most thorough and professional home inspection service. 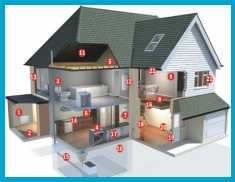 Our interior inspection includes attics, walls, ceilings, floors, doors, windows, countertops, cabinets, stairs, fireplaces, plumbing, electrical, HVAC, basements and crawlspaces. During the exterior inspection, we will look closely at the roof, exterior walls incl. siding, trim, windows and doors, porches, patios, decks, steps, stairs, driveways, sidewalks, grading, drainage and garages etc. We have a deep understanding of various molds and consequences to prolonged exposure. We use different methods of testing ranging from air samples to tape samples. A pre-purchase inspection gives buyers knowledge about both the negative and positive aspects of the property so there are no unpleasant surprises later. Future Property maintenance needs are also made known.